1. Despite being in a hurry on January 13, 1999, Hae agreed to give Adnan a 1.2 mile ride from Woodlawn High School to the Security Boulevard Best Buy, with the plan being that Hae would drop Adnan off before driving to Campfield Early Learning Center to pick up her cousin. 2. Hae and Adnan agreed that Adnan would drive during this 1.2 mile ride, meaning that, when they arrived at Best Buy, Hae would have to get out of the passenger seat of the Sentra and move into the driver's seat (something she presumably had to do outside the Sentra, given the close confines of the interior of the 1998 Nissan Sentra). 3. When they arrived at the Best Buy, Adnan was able to get himself from the driver's seat into a position in which he could have the leverage to strangle Hae, head-on. 4. While Adnan was strangling Hae, she was pushing to get away, causing her right temple and the right occipital (lower) portion of her head to strike the passenger window, resulting in deep focal hemorrhaging, but leaving no damage or physical evidence on the window. I will leave it to readers to assess whether this version of events is more or less plausible than the theory that Hae was strangled in the driver's seat. In my posts about conclusions 3-5, I will consider both the argument that Hae was attacked in the driver's seat and the passenger seat. As defense counsel notes, the prosecution didn't dare ask Dr. Korell whether the car window could have caused the focal hemorrhaging found in Lee's head. Of course, for some odd reason, defense counsel herself didn't ask Dr. Korell whether the hemorrhaging could have been caused by the car window. On the other hand, I did ask some experts, including an assistant medical examiner. I'll be posting the feedback I got next week. They showed a picture of the broken turn signal lever (presumably on the left side) and still argued that the lever on the right side was the broken one? john: I honestly have no idea. Did Detective Forrester misspeak? Did Murphy misspeak? What did the photo/video show? Was anything actually damaged/broken? In what way was the wand/selector damaged or broken? It's impossible for me to tell at this point. Are you going to post the full closing arguments transcript? It is impossible to tell from the snippet if she just misspoke. Everything in the snippet still works if you replace "passengers" with "drivers" so we need to be able to see if she continues with the passenger seat theory in the rest of her argument. ofimmsl: Thanks for the comment. The remaining transcripts are currently being redacted for eventual release. If Murphy merely said it once, I might think she merely misspoke. But she says it twice: (1) "We know Hey Lee was a passenger in the car;" and (2) "we know she was in that passenger seat." In particular, saying she "was a passenger" seems pretty unequivocal. As far as I can tell, the prosecution never mentions Hae's location in the car other then in the snippet I posted. Defense counsel does reference Murphy's statement, and, while her statement is muddled, it certainly seems like she believed Murphy claimed Hae was in the passenger seat. I will post that snippet in an update. Would you ever cite a holding to your students in a lesson without allowing them to actually read the entire opinion for context? Bob: Basically every casebook that law professors use contains excerpts from opinions without context. I would love if the full closings were available right now for everyone to see, but it takes time to redact. Thanks for all that you do to educate us on this case. I was an avid "Serial" listener and I have been following your blog ever since. I work in law enforcement so it's so nice to hear this information from your standpoint. Keep up the good work. [At page 203:] "During that process we discovered that the selector switch, if you sat on the driver's seat which would be on the left side of the steering column was broken." ... Urick: We'd offer into evidence at this time State's Exhibit Number 6, the videotape of the victim's car." ... [At page 204:] (A video was shown.) The Witness: This Hae Lee's car that was recovered on 300 Edgewood. Assisting me was Detective Hastings who was also on the squad." (Pause.) [At page 205:] The Witness: That's Detective Hastings showing the lever which I believe was for the windshield wipers was broken." (Pause.) The Court: Very well. (Pause.) (The videotape ended.) ... Urick: Now the damage that was done to the windshield wiper control, did you see that on the day that the car was seized? A: Yes, I did. Q: And again why was the tape recorded some days later? A: It was an afterthought. We were looking -- once looking at the photographs, you can see as in this one which was done by Crime Lab just shows it down. Without it actually physically showing it be raised and lowered you determine that it may not be broken, that it was just punched in." Nine9fifty50: It's weird. 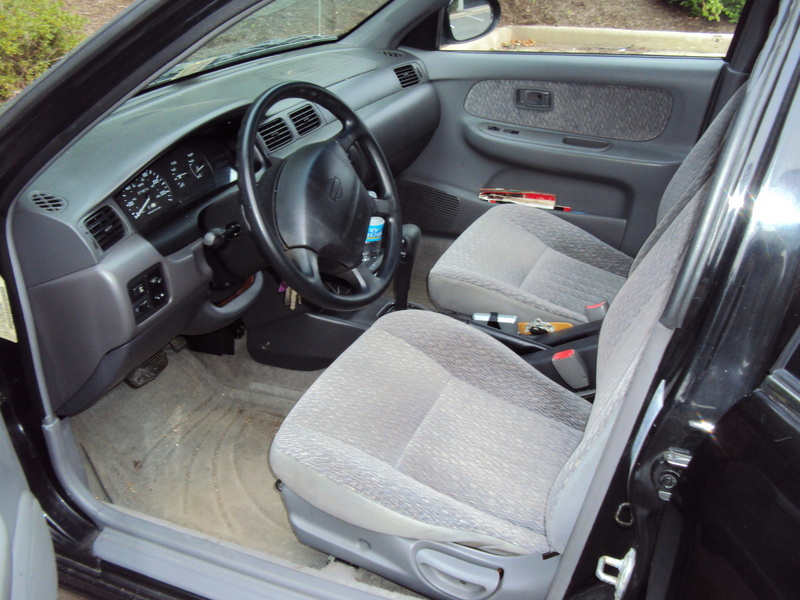 Forrester testifies that the selector switch on the left side of the steering column was broken. He then mentions that still photos of the selector switch didn't show that the selector switch was broken, which led him to "detemine that a video tape would better show that the selector switch was broken." Urick then shows the videotape, prompting Forrester to narrate the video by saying, "That's Detective Hastings showing the lever which I believe was for the windshield wipers was broken." Forrester never corrects his prior testimony by saying that what was broken was on the right side of the steering column, and he never definitively says that it was the windshield wiper wand that was broken. Moreover, as I will note in a subsequent post, there is apparently a document indicating that there was no damage to the windshield wiper wand. Obviously, having the video is nice. Barring that, what we are left with is a good deal of confusion regarding exactly what, if anything was broken. That was what I was trying to express in the post. Colin, thanks for your impartial and concise analysis, as usual. 1. At her height, if she was able to get her leg out of the foot well in order to kick at the steering column, she would need to be almost horizontal on the seat. Yet, for her head to contact the window, she would need to be in more of an upright position. 2. Were the blunt force injuries enough to render her unable to fight off her attacker? If so, would she have been conscious enough to kick at the steering column? 3. Considering the force and trajectory: Would there have been enough space for the killer to lunge at Hae and make contact and then have enough impetus to force her head into the window. Presumably, his feet were in his own foot well. The ability of someone in the driver's seat to do both things seems unrealistic - as it would seem that the first strike would create a downward force and the second would require the body to be more upright. It will be interesting to see what your Assistant ME report says. If Hae was in the passenger seat, her head was already close to the window. The question then becomes, was there enough room for her to then be on her back with space to kick. It would seem she would have to go from sitting by window to sitting closer to driver's seat. I say this because, I assume, the strangulation was from the front...do we know? 1. Yes. In a horizontal position, she's certainly not going to get an occipital hemorrhage from her head striking the window. Even in an upright, position, it's highly unlikely she would get an occipital hemorrhage from her head striking the window. I will flesh this out in a later post. 2. That was what I addressed in my fifth post. The injuries were certainly consistent with unconsciousness. Barring unconsciousness, she was almost certainly stunned. If she were unconscious, she couldn't kick. 3. Yes, the close confines of the '98 Sentra are a big part of the implausibility of an attack in the car. I will flesh this out in a later post. Regarding the afterthought: Right, there likely wasn't enough space to kick, even if she could get her legs out of the footwell. As I will note in my next post, this was almost certainly a strangulation from the front. If my memory serves me correctly, I believe SS said they took the wiper lever from Hae's car for testing to see if it was broken off in any manner and she indicated it was not. This would have been on the right side of the steering wheel. It could have been non-functioning aside from this theory. You're right - from this passage, neither side caught the discprepancy to make an explicit correction. Maybe it's worth checking the transcript to see when/how Urick established that the windshield wiper was on the right side to see how glaring the error would have been to the court and jury if the video actually showed the left wand as broken.